Fairness is a rich phenomenon: we have weak and strong fairness, and many different variants of those concepts: transition fairness, object/process fairness, actor fairness, position fairness, and so on, associated with specific models or languages, but lacking a common theoretical framework. This work uses rewriting semantics as a common theoretical framework for fairness. A common thread tying together the different fairness variants is the notion of localization: fairness must often be localized to specific entities in a system. For systems specified as rewrite theories localization can be formalized by making explicit the subset of variables in a rule corresponding to the items that must be localized. In this way, localized fairness becomes a parametric notion, that can be easily specialized to model a very wide range of fairness phenomena. 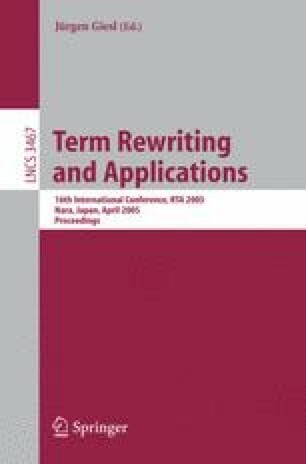 After formalizing these concepts and proving basic results, the paper studies in detail both a relative and an absolute LTL semantics for rewrite theories with localized fairness requirements, and shows that it is always possible to pass from the relative to the absolute semantics by means of a theory transformation. This allows using a standard LTL model checker to check properties under fairness assumptions.